Our list has been compiled based on VR games already on the market that have either achieved significant sales or received critical acclaim and user feedback. We’ve done our best to include a fair representation of VR development from back-bedroom coders to established gaming giants in the top 25. We’ve also made sure that every platform is represented, from Google Cardboard to Oculus Rift and HTC Vive, stopping off at Gear VR and PS VR on the way. We’ve had to lose a few firm favourites on leading platforms to make way for experiences on other hardware, so please excuse us if your favourite went under the axe. Try as we might, there are always going to be the ones that got away. Did we miss any? Let us know and we’ll do our best to include them in a future update. We’re kicking things off with a scare. As we’ve seen throughout 2016, horror has found a great medium in VR - the invasiveness and realistic feeling that horror fans can get when in VR keeps bringing them back for more. Ryan Bousfield, founder of Wolf & Wood and creator of VR horror, A Chair in a Room: Greenwater, is a UK based developer who takes full advantage of VR’s immersion to scare the living daylights out of users. A Chair In A Room, featuring, well... a chair in a room! 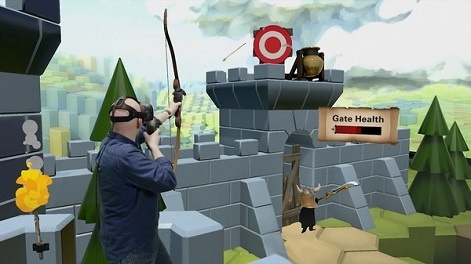 The 2015 mobile release title served as a free demo version and proved a success after having over 250,000 downloads on Cardboard and Oculus VR. Hitting six-figure downloads in what was an immature market for VR is no small feat; and to do it on your own is even more impressive. 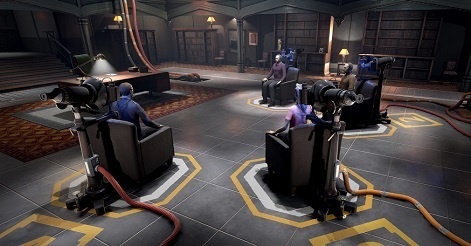 The full version is available on PC with the room-scale tracking of HTC Vive, where users go through an investigation of institutional corruption, religious immortality and murder. Sounds… fun? Many Vive users seem to think so, as the full game maintains a 91% positive review rate. We're not sure we want to know what's behind this door! Bousfield has led his one-man show with great success, landing him a spot on our list of 25 VR developers to watch! Ustwo are a small London-based team formed of members from both within the gaming industry and outside. The studio is most renowned for its award-winning mobile/handheld title, Monument Valley. The game that lands Ustwo in our list of 25 VR developers to watch is Land’s End. The stunning GearVR title epitomises the company’s emphasis on outside-the-box thinking, combining the elegance of Monument Valley with the immersion of VR. This can't be Cornwall - the sky's blue! 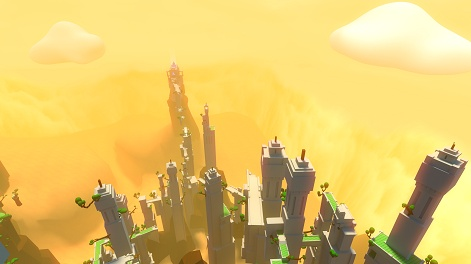 Land’s End tasks players with awakening an ancient civilization using the powers of their mind, employing an innovative movement system to progress between the various ‘connect-the-dot’ style puzzles. The minimalistic graphics make users feel as if they are in a work of art, while the soothing music makes for a therapeutic and relaxing experience. The award-winning Land's End is easy on the eyes. Land’s End won Best VR Game at this year’s International Mobile Gaming Awards and has received outstanding community feedback thus far. What’s more, it’s a VR title that makes users feel ‘beyond’ human; where most VR titles provides a ‘human’ experience, where you see through the eyes of an avatar, in Land’s End, users have a sense of becoming something new, allowing them to perceive the virtual world in a different way than usual. 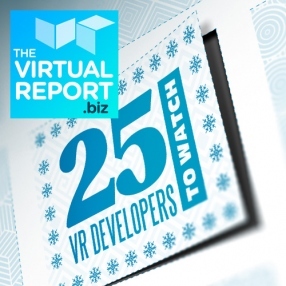 And for that, it earns Ustwo its place on our list of 25 VR developers to watch. “SUPERHOT is a labour of love. It got funded with tremendous support from the amazing community of players all over the world.” SUPERHOT Team. 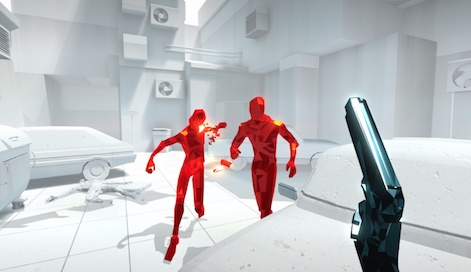 SUPERHOT started out as a 7-Day First Person Shooter game jam project made by a group of friends in August 2013. After releasing the prototype of SUPERHOT to the Internet, its popularity began to take off, taking the game through the Steam Greenlight process during a single weekend. Then, the team launched a Kickstarter in May 2014, which was funded within the first 23 hours - receiving a huge backing of $250,000 from the community. It was clear the team were on fire with SUPERHOT, and the incredibly positive community feedback continued with the full version’s flatscreen release back in February this year. On December 6th, SUPERHOT VR, a revamped SUPERHOT built exclusively for Oculus Touch, will be available with the controller’s launch. That bullet only moves when you do! What made people want to get behind this game? Innovation. 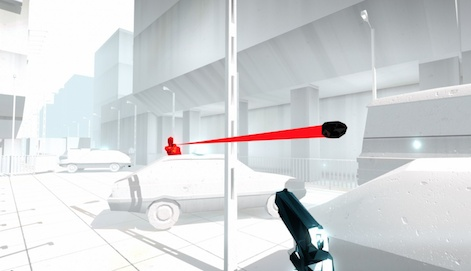 SUPERHOT is a shooter like no other, where time only moves when the player does; a concept which blends slow, calculative strategy with complete chaos once the fight ensues. Players can grab, punch, slice, shoot or use the environment to overcome the onslaught of ‘red dudes’, as they battle through a surprisingly complex and intense storyline. All this goodness will be made even better in VR, dodging a hurricane of slow motion bullets whilst looking around as time freezes to plan out your next attack - doesn’t that sound fantastic? It's all about overcoming the onslaught of 'red dudes'. The original title has been nominated for awards and also won some, including Taipei Game Show’s Most Promising Game 2016. For a project that started out so small, winning immense community backing and awards, as well as becoming a launch title for Oculus Touch, goes to show just how far a group of friends with a great idea can go. “Our mission is to continue to put together a talented group of individuals, who share a common vision to develop fun to play, visually stunning and technically spectacular games.” Sanzaru. Founded in 2006, Sanzaru is a US-based independent game development studio that continues to expand its numbers and broaden its product range. Their latest endeavour is VR Sports Challenge, one of the bundled pre-order titles for Oculus’ new Touch controllers. 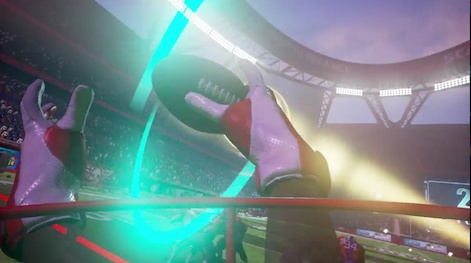 VR Sports Challenge puts you in the helmet of an American football player. VR Sports Challenge is Sanzaru’s first dive into the world of VR and they’ve done brilliantly. To create a bundled title for something as highly anticipated as Oculus Touch is a massive achievement. Indeed, a bundled title almost entirely removes the anxieties of a normal development process; instead of putting out a game and waiting for the market’s response, Sazaru’s first VR title has been packed with a major platform, essentially guaranteeing a good level of success. Have we ever felt so tall in a sports game? There’s another reason why the success of VR Sports Challenge will not come as a shock. The top-selling game of all time on a single platform is Wii Sports, with 82.79 million copies. Just like VR Sports Challenge, a copy of Wii Sports was bundled with every Nintendo Wii purchased during the initial year’s after the console’s launch. What’s more, Wii Sports and VR Sports Challenge both act as ‘gateways’ to a new medium in gaming; Wii Sports let consumers get to grips with motion controls in a way that could be accessed by everyone and VR Sports Challenge could now do the exact same thing for VR. 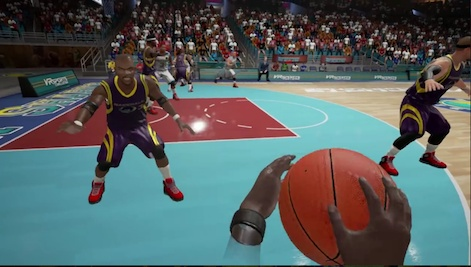 People may not want to be sent to space, or take the role of an unstoppable shooting machine and for those people, VR Sports Challenge could be the perfect way into the virtual world. “We’ve always wanted Thumper to be an intense, overwhelming experience.” DROOL. And VR makes it just that! Thumper is a ‘rhythm violence’ game with breakneck speed and terrifying, yet beautiful visuals. Players take on the role of a space beetle, tasked with braving the hellish void to confront a maniacal giant head from the future. As you can probably tell, this one is not the most relaxing experience! A space beetle looks for a fight with a giant head from the future; of course! DROOL is a two-man team consisting of musician Brian Gibson and programmer Marc Flury. 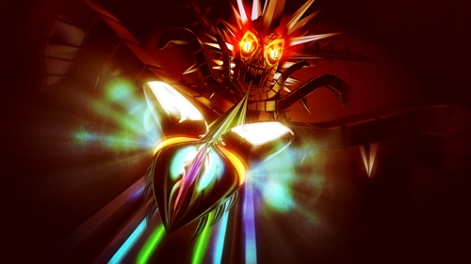 The two-man army has had some serious success since Thumper’s release, with the flatscreen version winning multiple awards, including Best Audio 2015 at Tokyo Indie Fest, and Best of Technical Arts 2015 at IndieStream Fes. 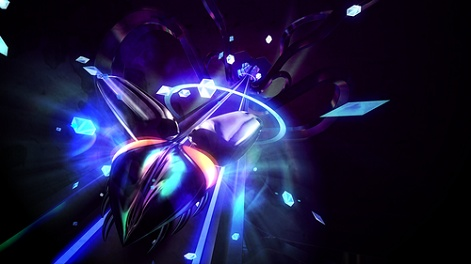 Thumper’s VR revamp continues to receive outstanding feedback from PS VR users and much to the excitement of many, DROOL has confirmed support for Rift and Vive through Steam by the end of the year. Thumper will come to Rift and Vive by the end of the year. “We’re now the largest UK software developer to be solely focused on creating virtual reality entertainment content. We’ve honed our dedicated VR skills by creating multiple games and experiences for all the leading platforms.” nDreams. nDreams is an ‘early-bird’ VR indie developer, having shifted its focus entirely to VR in 2013 after having access to Oculus Rift and Sony’s Project Morpheus development kits. Since then, the company has continuously developed VR titles for the major platforms with ongoing success. The UK indie developer has the evidence to back up its self-proclaimed status as the UK’s largest VR software developer, having used a $3 million investment to expand its numbers with new talent from the likes of Rocksteady Studios, Sony’s London Studio and Rockstar Games. The investment followed the launch of The Assembly on PS VR, and was headed by Mercia, a national investment group who previously invested £4.1 million into nDreams. The Assembly is one of the leading narrative based games in VR. The Assembly is a long-form, narrative-driven VR game where users face thought-provoking dilemmas from the perspective of two different protagonists. The originality of the title is highly recognised, having received the Most Original Game at the TIGA Games Industry Awards 2016. Whilst this could be recognised as the company’s biggest title, nDreams has also made its mark elsewhere in the VR industry. 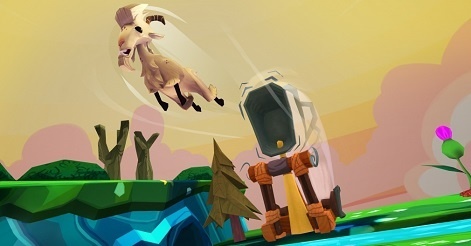 Danger Goat, one of the launch titles for Google Daydream, came from nDream. 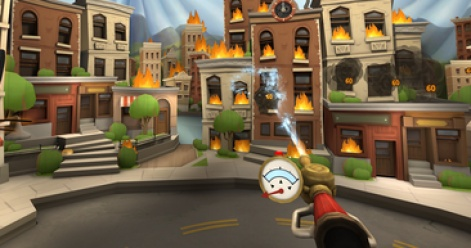 Danger Goat was a launch title on Daydream. The early and ambitious dive into VR has - so far - paid off for nDreams. Large-scale investments, an award-winning game, and a launch title earn nDreams a well-deserved spot on our list! For some first-hand info from George Kelion, former Communications Manager at nDreams, check out our interview with him here. “VR is the future of gaming. The headsets are going to get faster, lighter, better, more comfortable, higher resolution and everything will be VR in the future; we’re going to leave non-VR behind.” Jon Hibbins, Director & Producer at Psytec Games. Time will tell whether Jon Hibbins is right about the future of VR, but his great start in the field with Psytec Games can’t be doubted. In 2015, Hibbins and Nick Pittom founded Psytec with the aim of making awesome VR games. The tag-team met at a Bossa Studios developer event as they were demoing their own work VR experiences and, as both were fans of each other’s work, they decided that evening to work together on Crystal Rift, a VR grid-based dungeon crawler. After that, they acquired Ilja Kivikangas’ Windlands, a title that has been a favourite amongst VR fans across all three major platforms. Windlands is a first person grappling hook VR exploration game, where players soar through the ruins of a fallen civilisation and discover the secrets of a beautiful ancient world. The game’s appeal and positive receipt lies in the sense of freedom and exploration that it brings to players, as well the challenge of mastering the grappling hook mechanic to speed-run through content. 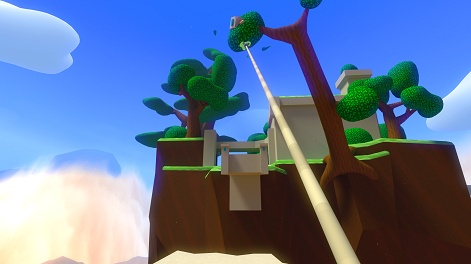 Windlands is a first person grappling hook VR exploration game. We’re seeing a few solo or duo developers have a big impact on the VR industry, and Psytec is another. For a spontaneous tag-team to create a hit VR title on Vive, Rift and then successfully port it to console for PS VR is exceptional. Hibbins gave TVR some insight to their way of creating a successful VR game in acknowledging, “Everybody’s really different in VR; it’s not like a 2D game. VR is a different experience to different people and the more options you can give people, like comfort and sensitivity, the better.” The team’s emphasis on player freedom, from both gameplay and customisation perspectives made for a brilliant VR title that puts Psytec in our top 25! Soar through ruins and discover the secrets of a beautiful ancient world. You can check out the full interview with Jon Hibbins here. Tammeka Games is a small team founded by Mark Cundle, which aims to use the long-term experience of its members to create quality VR games and experiences. 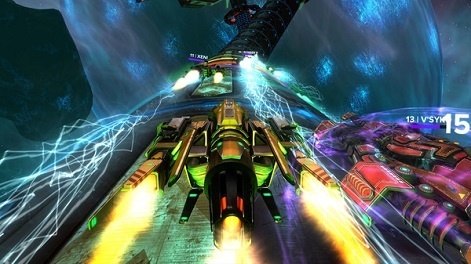 Tammeka made its debut with Radial-G: Racing Revolved, a high-octane multiplayer sci-fi racer for VR. Arcade racer fans are sure to fall in love with this one, with VR bringing them closer than ever to the rapid intensity that the genre brings. 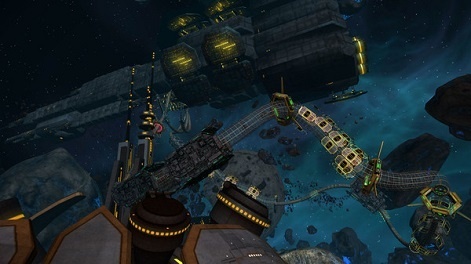 Radial-G pits players against 16 real and AI opponents, where they battle for the ultimate racing line using customisable ships and weapons. The futuristic racer reminds us of WipEout; this is a good thing. The tubular track design allows for 360 rotation, changing the dynamics around overtaking manoeuvres and positioning. The title has maintained Very Positive feedback on Steam and was shortlisted for the Best Racing Game at the TIGA Games Industry Awards 2016, losing out to Codemasters’ DiRT Rally. Tubular track design opens up new racing possibilities. With a debut title, Tammeka have captured the essence of the arcade racer genre and used the immersion of VR to step it up a notch. 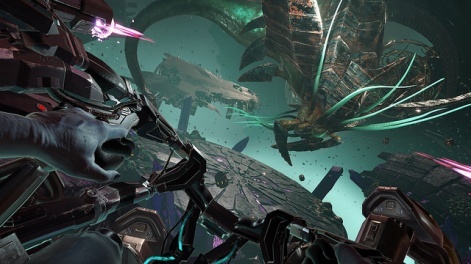 Radial-G acts as a demonstration of how VR can revive classic, era-defining game genres and bring them back into the spotlight. “I’m continuing to learn and grow every day. It’s been a rough but awesome journey.” Dante Buckley, Founder of Downpour Interactive. Dante Buckley, a college dropout who created an incredibly realistic VR military shooter, lands himself at number 17 on our list. His game’s name, Onward, originated from his desire to keep pressing forward after teaching himself how to build a game from scratch with almost no programming experience. Now, Onward holds 918 Very Positive reviews on Steam and has reached sales figures beyond Buckley’s dreams. Modern day military shooter makes a welcome change of pace from CoD. Buckley summarised his development process in a series of dev blogs, which are a testament to just how far Onward has come. The first blog, published over a year ago, sees Buckley demonstrate the core, bare-bone mechanics of the game with no support for motion-controllers. The latest blog, published in August this year, confirmed the Steam Early Access release date, demoed voice communications through radio and showed the co-op shooting range - movement animations, realistic audio, grenades, multiplayer functionality… Buckley had been hard at work for the year. Squad mates, radio comms, co-op; Buckley's come a long way. 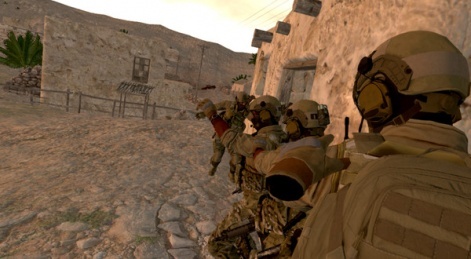 With Onward’s eventual launch onto Steam Early Access, Buckley founded Downpour Interactive and is now looking to create a team to continue developing Onward and future VR titles. We’re sure that Buckley’s newly founded Downpour Interactive will bring some promising additions to the VR world - be it in the form of updates for Onward or entirely new titles. Next up on our list is Capcom, the first major player to target VR with a full AAA title - Resident Evil 7. We’ve seen other big publishers dabble in VR with ‘one-off’ side-missions, like Activision’s Jackal Assault (Call of Duty: Infinite Warfare) and Square Enix’s Blood Ties (Rise of the Tomb Raider), but Capcom have gone all in. The entire game of Resident Evil 7 (PS4) will have full PS VR support, meaning the title can be played from start to finish as a VR experience. What’s more, the game plays in first-person for the first time in the franchise, giving fans a new perspective on the gruelling Resident Evil universe. 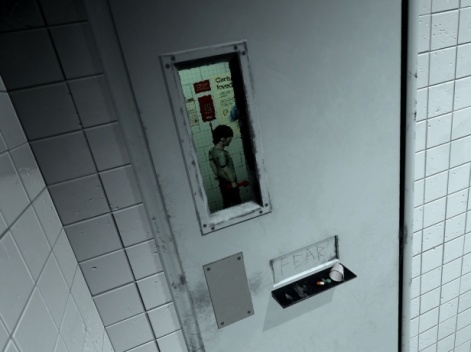 Resident Evil goes first-person for VR in number seven. 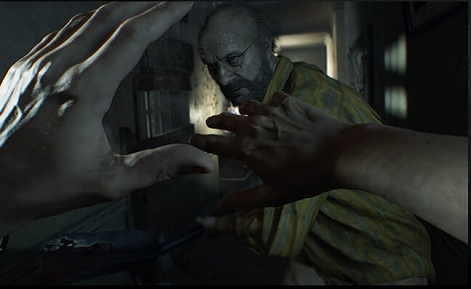 Resident Evil 7 is set for release on January 24th 2017, with VR functionality exclusive to PS VR for 12 months, although support for PC VR HMDs is yet to be confirmed. 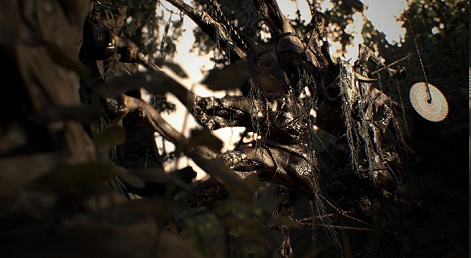 If you’re a PS4 user looking to get a feel for what’s coming, you can download Resident Evil 7: Beginning Hour, the teaser demo which has already been downloaded over four million times since October 15th, including both PS VR and conventional flatscreen users. Resolution Games is a Swedish team of games industry veterans and multitalented people who draw, design, code and produce, fuelled by their long-term passion for gaming. 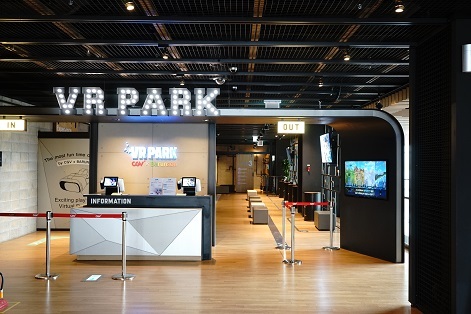 The company’s work focuses solely on VR because they believe that, “VR will rock the world and see immense possibilities for gaming.” We like their style! The company closed a $6 million Series A funding round in August last year, which marked the single largest investment for any VR games developer. Resolution Game’s goal with the funding was to ensure the company’s longevity - and it seems they’re doing just fine so far. 6m USD investment; but hose counting? 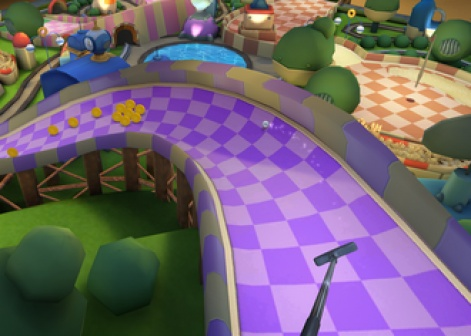 Their free VR theme park world, Wonderglade, was one of the launch titles for Daydream View and has received excellent feedback on the Google Play store. Wonderglade takes Daydream users to an ‘ever-growing’ theme park that is regularly updated, where they can partake in classic carnival -themed games and put the Daydream motion controller to full use. Resolution Games are performing below par, but that's a good thing in golf! That $6m funding round, paired with the company’s successful start on Daydream, make Resolution Games a developer to watch out for! Founded by three game industry veterans, Sólfar aims to publish VR games that thrill players and establish itself as a leader in the VR industry. 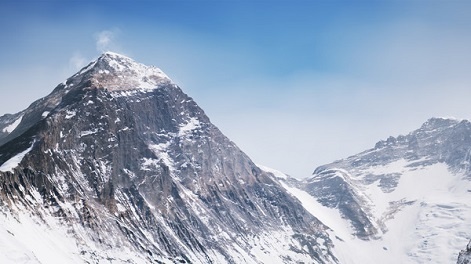 Everest uses VR to transport users to impossible real world locations. 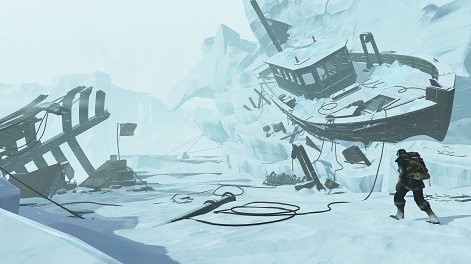 And with that in mind, Sólfar has gone far and beyond to make an incredibly immersive experience; so much so, that one demo tester was so convinced he was on Everest, that he remembered all the details about the boots his character was wearing, even though Sólfar hadn’t even rendered character feet at that stage in development! Success! These boots are made for walking. And climbing. 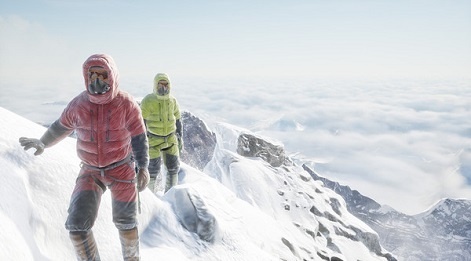 Sólfar found a fine balance between interaction and realism with Everest VR, almost as if to create a new category in VR. We can’t call Everest VR a ‘game’, but we can’t call it just an ‘experience’; neither would define it accurately. Instead, let’s just say that Everest VR is a thing that does its job - to completely transport and immerse users to another place - incredibly well. The unique nature of Everest VR keeps us on the lookout for Solfar’s endeavours later down the line; a definite one to watch! Imagine if VR had been a viable technology in the 70s and 80s. Can’t picture it? 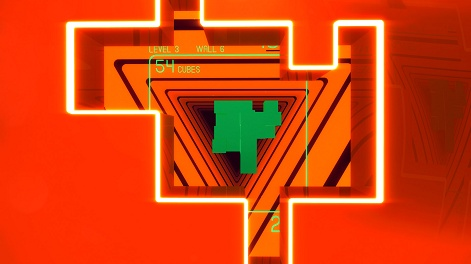 Polytron’s SUPERHYPERCUBE has the answer. It’s a VR first-person puzzler that transports players into a world epitomized by neon lights, 80s motion graphics and early computer art. Players control a group of cubes, like Tetris, and rotate it to fit through a gap in the wall that moves towards you; each time you make it through, more cubes are added to your cluster in random positions. The future as seen through an 80s filter. When thinking about VR, we often picture the future; it’s a new, revolutionary technology that has the potential to change the dynamic of everyday life after all. But SUPERHYPERCUBE has been described as retro and elegantly simple. Phil Fish, Founder of Polytron, is notoriously unpredictable. He famously ‘retired’ from game development, having expressed his hatred for the industry, cancelling the sequel to his incredibly well received 2D-platformer-with-a-twist, FEZ, just a month after its announcement. 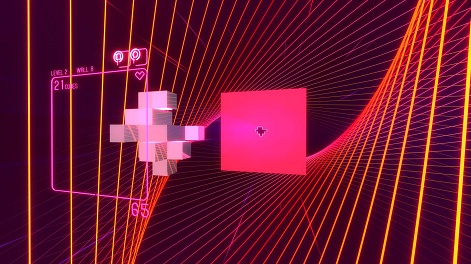 We’re including Polytron as a developer to watch because it could either continue to produce quirky and innovative games like Fez and SUPERHYPERCUBE, or cause the founder to have another Twitter meltdown - and who can look away from a car crash? “VR at its best, envelops the user in a deeply immersive experience, going beyond simply viewing a new world to actually influence it.” Cloudhead Games. Cloudhead Games has been developing VR since late 2012, and a successful Kickstarter campaign in 2013 led to the announcement of what they claim to be the first-ever announced built for VR game, The Gallery: Six Elements. Along with developing The Gallery, Cloudhead has been working on innovative solutions to some of VR’s problems. Firstly, and most notably, the company created Blink: a ‘point and click’ style VR movement system that allows users to teleport themselves and their play area, designed to completely prevent nausea and provide for more freedom when exploring a virtual environment. On top of that, Cloudhead are also working on performance capture, aiming to give VR users the ability to interact with their favourite movie sequences or books. Call Of The Starseed is just the beginning for Cloudhead Games. A great balance between exploration and interaction. Cloudhead’s implementation of its innovative VR tech leaves us with high hopes for the company’s future releases. If the first episode of The Gallery is anything to go by, it looks like we won’t be disappointed. “Never assume you know everything - because you don’t.” Jason Kingsley, CEO at Rebellion. When it comes to creating licensed games, Rebellion certainly know what’s up. Founded in 1992, the company first started winning acclaim for its Atari Jaguar game, Alien vs Predator (1994). From there, Rebellion purchased 2000 AD, a British science fiction-oriented comic, creating games featuring the comic’s most popular series, such as Judge Dredd: Dredd vs. Death and Rogue Troopers. Nowadays, the company is most recognised for the Sniper Elite series, which has sold 10 million units worldwide and has the latest addition, Sniper Elite 4, hitting the shelves in February 2017. You get the idea; these guys are certainly well-established. 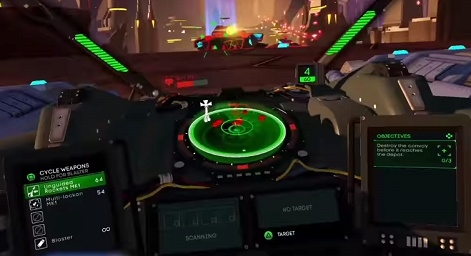 The reason they’re here though, is Battlezone… not the 1980 Atari classic, we’re talking about Rebellion’s VR remake, which is built from the ground up for PS VR. Battlezone stays true to its retro roots, maintaining simplistic visuals and straight-forward shoot-em-up gameplay as players battle through a procedurally generated ‘hexmap’ against the mechanised forces of The Corporation. Procedural generation makes for infinite replayability. We’re in for more VR tank madness, as Rebellion has confirmed a Battlezone launch for Oculus and promised a whole lot more content for the game in the coming months. The oh-so-wise veteran that is Rebellion has got off to a great start in VR, and we’re sure this is just the beginning. “We started this studio because we love what we do: crafting worlds - building games - it’s in our DNA (and we’ve gotten pretty darn got at it over the years).” Gunfire Games. David Adams, President of Gunfire Games, has never worked for a studio that he didn’t start, “I don’t like the idea that my fate is in the hands of somebody else”. Adams’ self-tailored fate led him and Gunfire Games into VR with the creation of their first RPG title for Gear VR and Oculus Rift, Herobound: Spirit Champion. Herobound was a cautious entry into VR that kept things relatively simple as Gunfire found its feet in VR. Chronos regularly appears on top VR games lists. 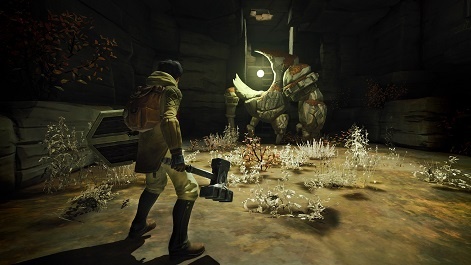 Chronos is a critically acclaimed third-person RPG that’s almost always featured in lists of top VR titles - including this one. And not without reason - it’s a beautiful game that’s reminiscent of The Legend of Zelda, mixed with the dark, fantastical world of Dark Souls. Gunfire add some genius touches, like the aging system where your hero becomes older with every death, giving a sense of progression as you see and hear the changes in your character. Chronos is a beautiful game. Whilst Chronos could be considered the biggest reason to acknowledge Gunfire Games, the studio is continuing to get stuck in with VR. 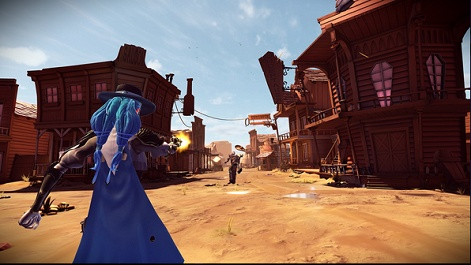 In the run up to Oculus Touch’s release, Gunfire has been co-developing Dead & Buried, a free launch title that pits players against one another in an old Western style shootout. Gunfire co-developed Oculus Touch launch title, Dead & Buried. “We are exceptionally proud to be playing such a major part in showcasing VR to the world and continuing our mission of being an industry leader in VR.” SIE London Studio. We’ve included Sony Interactive Entertainment’s (SIE) London Studio, the force behind VR Worlds, in our list because it was a major factor in ensuring PS VR’s successful launch; VR Worlds was the fourth most downloaded PS VR title since the HMD’s launch. 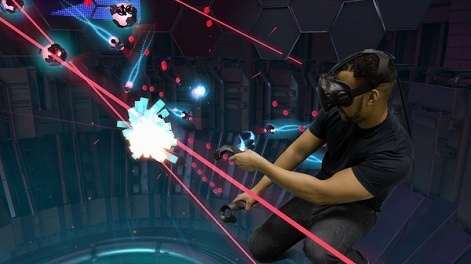 The game was designed to convince users of PS VR’s versatility and bundles together five exclusive experiences that give players an exciting introduction to the HMD’s functionality, software and motion controllers, as well as helping them generally get used to being inside VR. 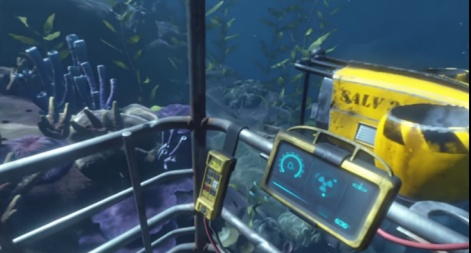 Ocean Descent from VR Worlds. For many users, the VR Worlds experiences would have been their experience of VR - and we all know how important first impressions can be. Regardless of whether each experience in VR Worlds is short or not, we haven’t really seen a title that bundles together so many different elements of VR. Players get the thrill of becoming an underground criminal in The London Heist, weave through oncoming traffic in VR Luge, dive into adventure as a deep-sea explorer with Ocean Descent, pilot an all-terrain craft through a treacherous nebula in Scavengers Odyssey, and enter a futuristic sporting event in Danger Ball. VR Worlds has the wow factor, and it’s the wow factor that keeps PS VR users gripped and eager for more. Slick - hopefully not sick - space fare in Scavenger's Odyssey. 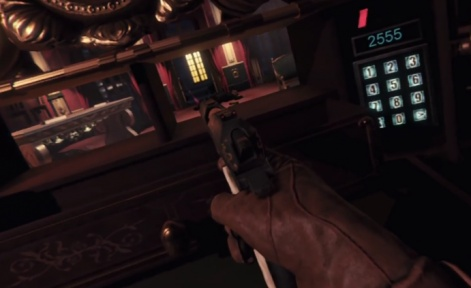 The London Heist is one of the more compelling experiences from VR Worlds. We commend SIE London Studio for giving PS VR users such a diverse and compelling set of experiences in VR Worlds; but there wasn’t much time for celebration after launch day. As VR Worlds’ development cycle ended, Sony confirmed that, “There will be a number of compulsory redundancies within the London Studio.” regardless, the Studio is already on its way with their next VR project, so we’re looking forward to seeing more from them in the future. Next up in Insomniac, another veteran in the games industry. Since being founded in 1994, Insomniac says it has sold more than 44 million console games worldwide - for an indie developer, those are some serious numbers. Insomniac were the force behind two of PlayStation’s most recognisable franchises: Resistance, Ratchet & Clank and the first three Spyro the Dragon games. Edge of Nowhere has a great sense of scale. Insomniac released their first VR title this year, Edge of Nowhere, which has been well received by reviewers and consumers alike. 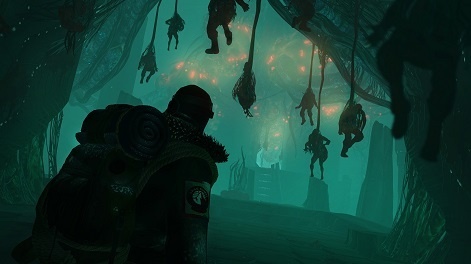 Edge of Nowhere is a VR third-person action-adventure, where players follow the trail of a missing expedition that leads across the mountains of Antarctica and eventually turns into an unsettling psychological thriller as the mystery unfolds. The sense of scale, from the vertigo inducing cliffs to the towering alien giants, is not lost with the third-person view - instead, players get a real sense of just how small their character is in comparison to the overwhelming environment. 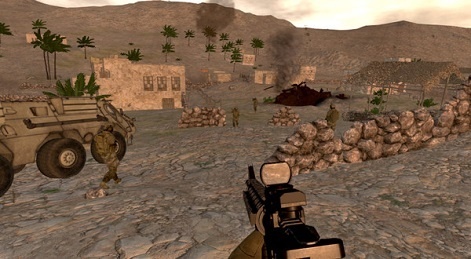 It borrows heavily from the action-adventure genre, with some conventional sequences made unique thanks to the incredible sense of immersion. Can you say, 'Unsettling psychological thriller'? Edge of Nowhere is a very directed experience; there isn’t much room for exploration or experimentation with which route to take. Even still, for its first addition to the VR industry, the game does more than enough to earn Insomniac a spot on our list. To create what has become a critically acclaimed, staple title for one of the major VR platforms on a first try means you’ve got some moves. With Edge of Nowhere’s success, it’s almost guaranteed that Insomniac will keep the VR ball rolling. I-Illusions is a Brussels-based multimedia studio which funds its games through freelance work in interactive media, AR, interactive VFX, commercial games and mobile development. Dirk Van Welden, Founder at I-Illusions, describes himself as, “Not a pure programmer, not a pure artist, but stuck somewhere in between.” Whatever he is, Welden created what you could call a ‘VR-classic’ (if there is such a thing during these early days) that has remained a go-to title for Vive users; Space Pirate Trainer. One of the finest wave shooters in VR. 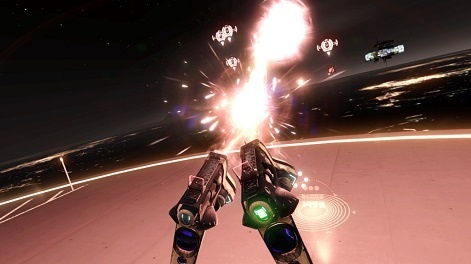 It was one of the earliest wave shooters in VR for Vive, and Space Pirate Trainer has remained one of the most talked about, “My Vive is basically a Space Pirate Trainer machine that can play some other games too”, said one Steam reviewer who has spent 55.5 hours in-game. Now, with SPT as a launch title for Oculus Touch, Rift users who’ve felt nothing but the deepest envy towards those lucky Vive space pirates will finally be able to jump into the action. Dual wielding space lasers? Oh, yeah! We’re including I-Illusions here because it’s remained at the forefront of VR, with one early title. 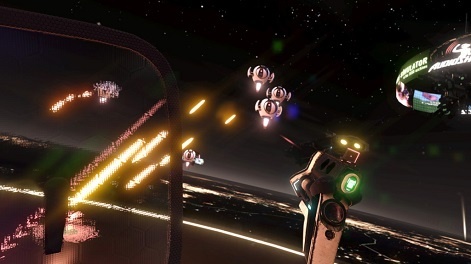 Space Pirate Trainer is the kind of game you would use to convince your pals to buy into VR; sure, it’s a pretty simple wave shooter, but it does so well in showing off what the Vive - and now Touch - can do. With such a heavy-hitting, popular title already under their belts, we can’t wait to see what I-Illusions will bring to VR next! Steel Crate Games are a group of indie developers in Ottawa who teamed up during the Global Game Jam 2014 to make a small game about defusing a bomb in VR. 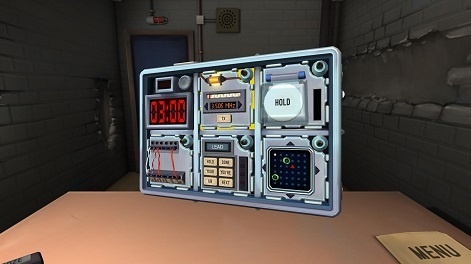 After creating a 48-hour prototype, the resulting video got a lot of attention from gamers and the press, spurring on the team to pursue the project and put together a plan to make Keep Talking and Nobody Explodes. To make things official, they needed a company name and thus Steel Crate Games was born. Keep Talking single-handedly refutes the notion that VR is antisocial. 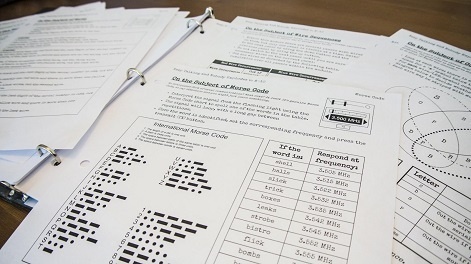 Keep Talking and Nobody Explodes is simply brilliant – and brilliantly simple. 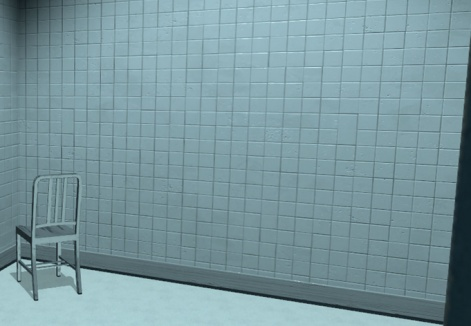 One player is trapped in a virtual room with a ticking time bomb they must defuse. The other players are the ‘Experts’ who must give the instructions to defuse the bomb by deciphering the information found the bomb defusal manual. But there’s a catch: the experts can’t see the bomb, so they must depend on the trapped player to describe the puzzles. Maintaining composure as the timer ticks down is no easy task, but we’ve seen some masterful displays of teamwork since release. You have a bomb. You have a manual. What could go wrong? One of the most frequent objections to VR we hear is that it’s anti-social. Keep Talking and Nobody Explodes blows that misconception up and tears up the rulebook; this is hands-down one of the most social multiplayer games we’ve ever played - on any format! Owlchemy Labs was founded in 2010 in Austin, Texas. Since then, the company has been creating original content for Vive, Rift, PS VR, and Google Cardboard, as well as speaking on VR topics around the world. 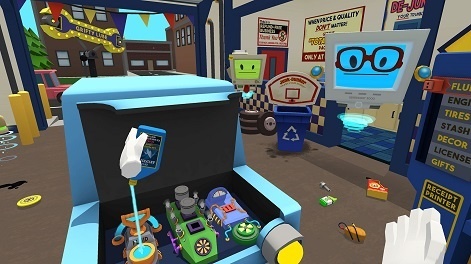 Flagship VR title, Job Simulator, took the market by storm; the experience was the most downloaded title for PS VR after launch and has consistently held very positive reviews from Vive users on steam. It’s wacky and hilarious, but does incredibly well in showing off Owlchemy’s pioneering VR tech. 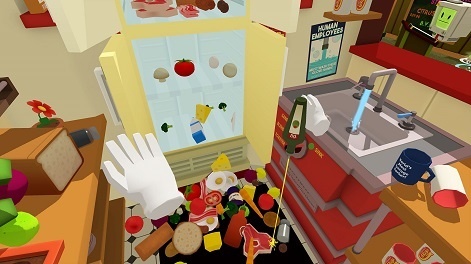 Highly stylised and consistently quirky; Job Simulator is a triumph. The next Owlchemy VR title in the pipeline is Rick and Morty Simulator: Virtual Rick-ality which, “Smashes together the absolute VR chaos of the award-winning Job Simulator with the ridiculous, all-out, take-no-prisoners comedy of Rick and Morty.” Sounds like a blast! Owlchemy is also making major moves in VR/MR innovation. The company’s new MR tech, currently in beta, can directly render users into an MR environment, disregarding the need for video-editing software and allowing multiple users to be rendered in at once, with or without a VR HMD. For the most part, it seems that Owlchemy plans to use this tech to demonstrate and promote VR; whether it will be used in future games or experiences is yet to be seen. Either way, Owlchemy are continually pushing the boundaries - and doing it with style! Founded by brothers Avni, Cevat, and Faruk Yerli in 1999, Crytek is an independent game developer that’s become a renowned, well-established player in the industry. Along with a whole host of popular games, the company is highly recognised for its game development engine CRYENGINE, which is, ‘Primed for VR development’. Since the engine is royalty-free, developers can commercialise any games developed without being tied to any distribution platforms or middleware services, no matter how much they earn with it. The CRYENGINE Marketplace allows users to buy and sell assets, with 30% of all revenue generated from asset sales going to CRYENGINE and the remaining 70% going directly to the asset vendor. This is a great thing for the VR industry, since encouraging people and companies to enter VR development will lead to more great VR content. The Climb: beautiful and scary - even to real mountaineers! 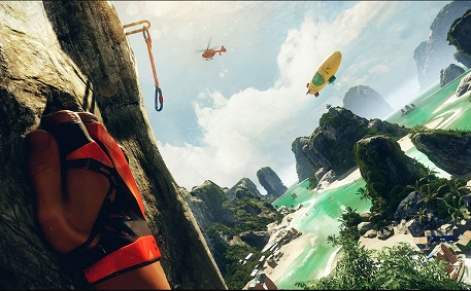 With CRYENGINE, Crytek created the The Climb, an award-winning, heart-pounding climbing simulator, exclusive to Oculus Rift. Even real-life climbers have described it as, “Beautiful” and “Scary”. The Climb also supports the recently launched Oculus Touch controllers, making for a more active climbing experience than with a standard gamepad. If a kind soul gifts you The Climb this Christmas - or if you fancy taking the plunge and buying it yourself - be sure not to end up like this guy. Not all the dinosaurs you meet in Robinson are this cute! Crytek isn’t afraid to play the exclusives game across different platforms, which is one of the things we find most interesting about the company. 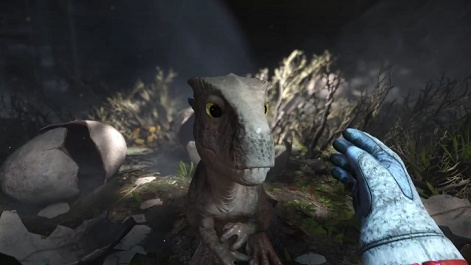 On November 8th, Crytek released Robinson: The Journey, a narrative and exploration-focused PS VR exclusived where players uncover the secrets of Tyson III, a mysterious planet where the Jurassic era envelops the entire world. For a major player like Crytek to release two platform exclusive titles during these early days of VR shows a great level of confidence, in both VR as a medium and the company’s ability to create high-selling games. Will we see an exclusive Vive title next? Following reports of financial difficulties for the company, Crytek has announced that it is to sell all development studios other than its Frankfurt headquarters and Kiev offices. The implications of this business decision on the company’s future VR output is unclear, but we can rest a little easier knowing both The Climb and Robinson came out of Frankfurt. We hope to see more heavy-hitting VR titles of this quality from Crytek in the future. Mostly recognised for its sandbox MMORPG, EVE Online, CCP was founded on the principle of pushing and breaking the envelope, positioning the company to innovate with the advent of the ground-breaking technology that is VR. CCP is another well-established player that recognises VR’s potential; the company aims to create living and evolving gaming worlds where human interaction thrives, and VR could be the perfect medium to take this concept to the next level. 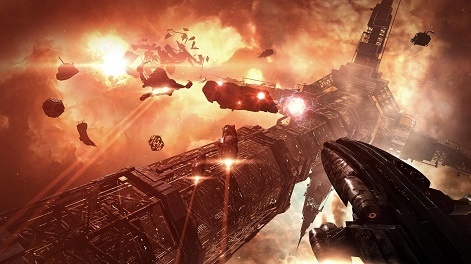 CCP's new VR games add to the lore of the EVE universe. VR is already starting to bring CCP’s ever-evolving EVE universe closer to players than ever with EVE: Valkyrie and EVE: Gunjack, two of the most downloaded PS VR titles since the HMD’s launch. Valkyrie has been in people’s minds it was announced and is quickly becoming a go-to title for VR users across all three major platforms. 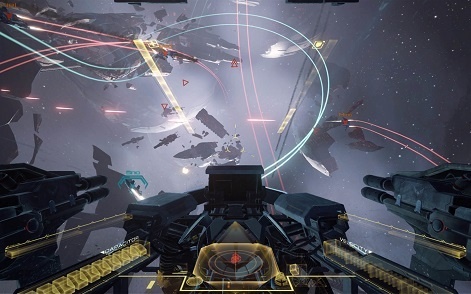 Once you've experienced space dogfights in VR, it's hard to go back to flatscreen. Whilst its first VR titles have been a success, there’s more to CCP that makes it a VR developer to watch. Rumour has it that CCP is facing some financial difficulty and thus exploring strategic options, including a sale of the business. We don’t know whether the rumours are true, or if the future of CCP is in question, but the quality of their work in VR is not. The company has been leading the VR charge from the beginning and we hope to see them continue at the forefront. “When you give smart talented people the freedom to create without fear of failure, amazing things happen. We see it every day at Valve. In fact, some of our best insights have come from our biggest mistakes. And we’re OK with that!” Valve. Valve, a top-tier developer behind masterful works like the Half Life, Counter Strike, Portal, Team Fortress 2 games and online entertainment platform Steam, has believed in VR since the get-go. From hardware and software production to financial backing and developer training, Valve remains central across a multitude of areas in the VR industry. The Lab: an essential introduction to room-scale VR. It comes as no surprise that Valve’s VR game makes the perfect introduction to room-scale VR - after all, this is the company created the Vive hardware and SteamVR tracking system. Valve’s company structure is reflective of its free-wheeling, innovative nature - it has no boss! It describes itself as simply a group of, “Highly motivated peers coming together to make cool stuff.” The company has maintained the same kind of open-ended approach with its room-scale VR tech, opening training courses for any developers that wish to use it commercially or non-commercially. Every Vive HMD is also a developer kit, meaning users with free engines like Unity and Unreal can get into VR game development right away. Valve is right on target with The Lab. “We see gaming as an art form. And we don’t just want to make games more immersive - we want to make them more human.” Survios. In at number one with a bullet – and a katana - it’s Survios and Raw Data! Who else could we have chosen to place at the top of our list of 25 developers to watch than the studio that released the first VR game to sell $1 million in a month? Before becoming what we now know as Survios, the collective started out as an interdisciplinary team of technical artists and engineers working on avatar embodiment, positional movement, 3DUI, and game design for VR, under the banner of Project Holodeck. The final feat of Project Holodeck was Wild Skies, one of the first ever full-motion VR games. This was only the beginning, as the team founded Survios in May 2013, and closed a $4 million Series A fundraising round which led to the recruitment of a world-class team of technologists, engineers, designers, and artists. The stage was set; if anyone was ready to take the VR world by storm, it was Survios. And that’s just what they did with Raw Data, a first-person co-op shooter for Vive - and soon Oculus Touch - the first VR game to make $1 million worth of sales in one month. Get your Gun Fu on with dual wield pistols. We’ve seen games get dragged through years of Early Access, but Survios are, “Aiming to have the full version of Raw Data ready as soon as possible”. 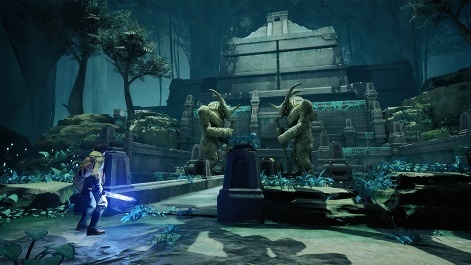 The company’s development decisions have been, “Heavily influenced by the continuous feedback we receive from our community”, with the future versions including a 12-part story campaign, multiple new heroes and abilities, as well as secondary weapons like grenades and pistols; all things early buyers were hopeful for. Raw Data: a 12 part campaign mode is on the way. Survios is in a great position here, as the community isn’t rushing the development process for Raw Data and is instead enjoying the game as is; meaning the future can only get better for them as additional features are added. Retention of customers, acting on community feedback, resurfacing content with updates that will bring in new players, the inevitable influx of buyers on full release, more Vive users as VR becomes increasingly popular... Survios are showing us how it’s done.